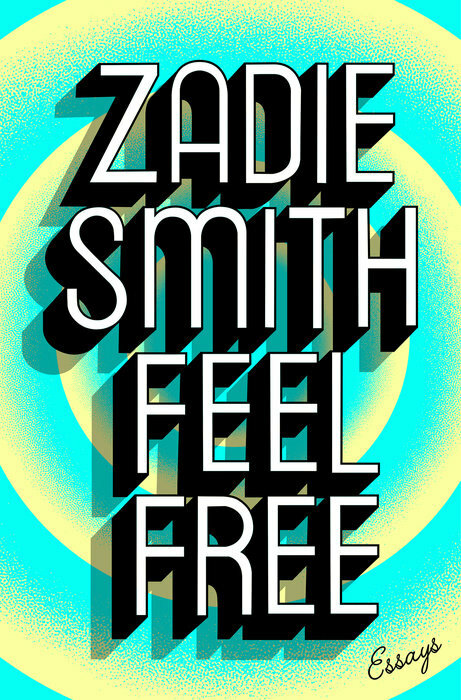 Feel Free, Zadie Smith. Hamish Hamilton (2018). “My evidence,” she claims, “is almost always intimate.” However, these essays are not personal, not in the “Person 2.0.” sense—Smith’s term for us creatures living in this post-Zuckerberg world. Some of this has to do with the inclusions of lectures, profiles, and reviews, nonfictional forms that are not designed to be very personal. There are no bodily fluids exchanged, no redemptive addiction narratives, no merciless excavation of personal experience. Rather than looking into mirrors, Smith, in “Joy,” instead finds pleasure in literally admiring the faces of strangers. It isn’t exactly that the writing isn’t intimate—and it is, in its humour and personality—but that it feels controlled and private, outward-looking and protective. I wanted to know more about her marriage, her identity as a mother-writer, her ambition, the fallout of incredible success at a young age. When we do get this it is subtle, sideways, and often just not quite the point. “Find Your Beach,” an excellent piece near the end, discusses the contagious energetic ambition of New York and the sleepless nights of the mother. “The Shadow of Ideas” is one of the most personal. Set in Rome, the essay muses on early success, freedom squandered on writer’s block, the ends of civilizations, and what it is like to suddenly have money, to have jumped class strata. Partly by not naming him but only referring to him in the second person, Smith keeps a veil thrown over her husband. “You” appears once in a while as though from behind to deliver a cutting insight, and then disappears again. In “The I Who Is Not Me,” she writes that she resisted writing in the first-person for years, as she wants in her fiction to escape the self. 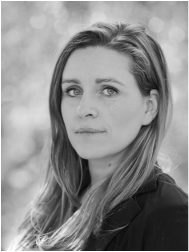 She insists on the novel’s form as especially morally complex: “In the real world we often want our judgments and moral decisions to be swift and singular and decisive. Fiction messes with our sense of what it is possible to do with our judgments. It usefully suspends our great and violent desire to be in the right on every question and creates an unholy and ungovernable mix of the true and the false.” The novelist’s perspective is naïve and slow to conclude, compassionate toward the opinions and lived plurality of others. In “Getting in and Out,” Smith moves from a viewing of Jordan Peele’s recent Get Out to one of Dana Schutz’s much-maligned painting of Emmett Till, maligned because Schutz is a white artist and the painting is a spectacle of black suffering. Smith describes the horror of Get Out as, partly, the horror of cultural appropriation: “The white people in Get Out want to get inside the black experience: they want to wear it like a skin and walk around in it.” But she is not on the side of a public letter calling for Schutz’s painting to be destroyed: “The letter lives in a binary world in which the painting is either facilely celebrated as proof of the autonomy of art or condemned to the philistine art-bonfire. The first option, as the letter rightly argues, is more often than not hoary old white privilege dressed up as aesthetic theory, but the second is—let’s face it—the province of Nazis and censorious evangelicals.” In the foreword, she writes, “I realize my somewhat ambivalent view of human selves is wholly out of fashion.” This ambivalence is already, perhaps, a relic of the Obama era. Before reading it, I saw some murmurings online that called this essay out as incorrect and misguided. “I recognize myself to be an intensely naïve person. Most novelists are, despite frequent pretensions to sociopolitical insight,” Smith writes, in a group of essays that consider Brexit and climate change and gentrification. Her “naivety” and “sentimental humanism” are charming, and do not of course preclude the sort of sociopolitical insight for which her novels are rightly commended. 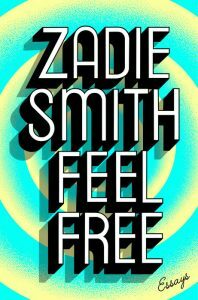 In her most recent novels, she looks deeply at race and class after having become known, with White Teeth, as a “multicultural author,” a framing she discusses in Feel Free. In the essays, what she calls naivety appears in her desire to keep libraries open and her sorrow over the effects of climate change on home. She is almost always referring to one nostalgia or another. Both Smith-the-novelist and Smith-the-essayist consider, for an example, the mechanisms of luck and injustice that allow some people to climb out of poverty while others can’t. However, the novelist has a larger measure of authority, just the sort of authority that the essayist, here, frequently undercuts. The novelist’s speech acts bring things into being; the essayist tries things out and wonders whether she’s misunderstanding them completely. The reader will be unlikely to read Feel Free all the way and straight through, as I did. A long section of the Harper’s columns is just one book review after another for eighty pages, far more than I had patience for, and I’m as close to the target audience for that as can be. Rather than a book of essays, this is really a repository offered to the Zadie Smith completist. But overabundance, here, is better: there are plenty of pieces to make it worth the hardcover price and your time.